Spice up your favorite drinks and dishes with the zesty taste of Clamato, an authentic, invigorating blend of tomato juices and spices. There is plenty to share in this 64 ounce bottle, making it perfect for enjoying by itself as a refreshing juice alternative. It mixes great with beer, vodka and other spirits making it ideal for classic drinks like The Perfect Michelada or a Bloody Caesar. 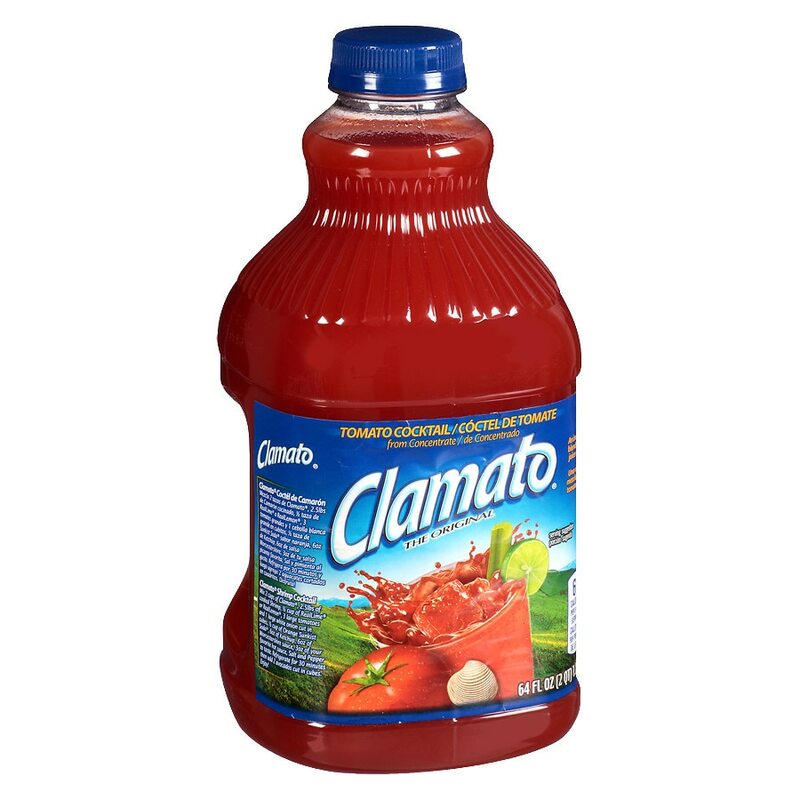 Clamato keeps the party going into the kitchen where it adds hearty, delicious flavor to hot and cold dishes, and it's perfect for grilling seafood, meat, chicken or making salsa for tacos. Versatile and essential for any occasion, keep life spicy with Clamato.